Visit our Closet Showroom! We have LED Lighting on Display and Much More! What makes SHELVING UNLIMITED special? We have over 30 years experience in the custom shelving industry. Custom shelving design and installation is our specialty. Our customers are happy customers. We are a family owned business and have been since 1986. Our company was created in Rockford, and we are honored to serve the Northern Illinois and Southern Wisconsin area. Our closet designs are customized to fit your individual needs! 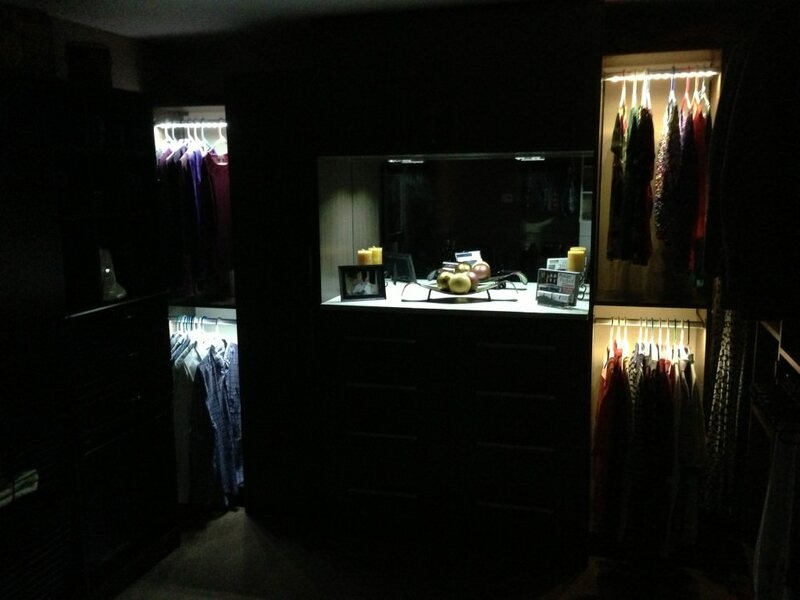 Our custom closets are designed the way you want them. We have very few limitations! This is especially important when considering that every closet is different. We offer a higher quality product that is designed to fit you and your lifestyle. We offer competitive priced closet and storage solutions! Our custom closet designs and storage solutions are extremely competitive! We offer Rubbermaid epoxy coated wire shelving products which give you the “biggest bang for your buck”. We also offer melamine products in a variety of solid and sophisticated wood grain colors that have a more elegant appearance. We know that design is the most important part of the custom closet process! The design of the closet IS the most important! Closets are something that you utilize on a daily basis. It is imperative that you are happy with the design and function of your closet. We are experts with the design process, and we are confident that we can satisfy your needs! We offer a free in-home consultation. This consultation includes us measuring your closet area and explaining the best solution to fit your needs.